Decisions made by Tony Blair leading up to the Iraq war cost the lives of British troops due to the former prime minister’s “deceit”, an explosive new book has claimed. The story of how Britain entered the war has been outlined in a book by investigative journalist Tom Bower called Broken Vows and is based on interviews with military chiefs, civil servants and Cabinet ministers. It says Blair had decided in 2002 that Saddam Hussein had to be overthrown and how he was prepared to back George Bush at all costs after the 9/11 attacks. The book is serialised in The Daily Mail, and says that the British military were refused permission to plan properly because Blair was “pretending to be an honest broker seeking a peaceful solution”. The Chief of the Defence Staff, Admiral Sir Mike Boyce, told Blair that his position was “crazy” to which the former PM apparently replied: “Well, that’s how it is”. 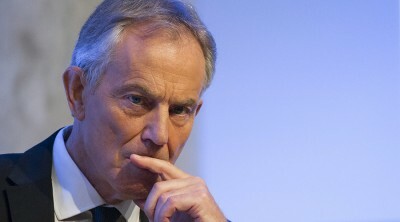 Defence Secretary Geoff Hoon had asked Blair to be able to order machine-guns, body armour and other equipment but this was rejected by Blair who wanted “to keep the UN negotiations [with Saddam over weapons inspectors in Iraq] going and I can’t act as (an) honest broker if it’s clear we’re planning to go to war”. The book also describes how top Ministry of Defence officials were excluded from key meetings by Blair who hid his plans from most of his Cabinet and ignored warnings that it the conflict could turn into a “Vietnam-style” catastrophe. The book comes ahead of the Chilcott report which has yet to be released, despite beginning work in 2009.